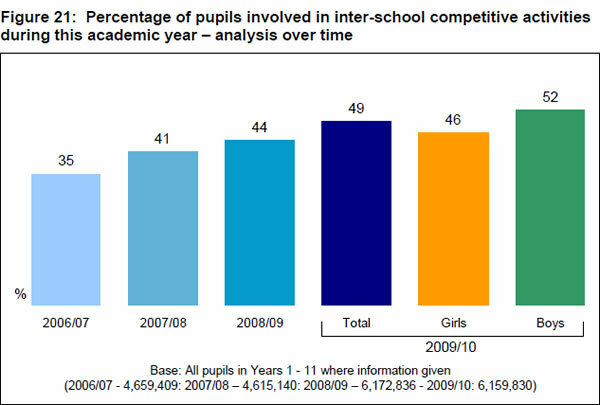 The government's aim to “spark a competitive school sport revolution”, outlined only a month ago, looks set to become yet another broken coalition promise, following the cuts to school sport outlined in the Comprehensive Spending Review this week and the subsequent axing of targets and strategies which have resulted in increases in participation in school sport and rises in the number of pupils playing competitive sport. The government’s aim to “spark a competitive school sport revolution”, outlined only a month ago, looks set, alongside Nick Clegg’s pledge “to vote against any increase in fees”, to become yet another broken coalition promise and kick in the teeth for young people following the cuts to school sport outlined in the Comprehensive Spending Review this week and the subsequent axing of targets and strategies which have resulted in increases in participation in school sport and rises in the number of pupils playing competitive school sport. 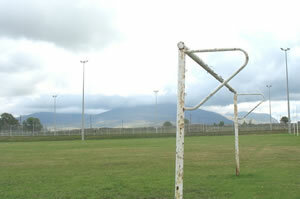 The Department of Education is scrapping the £162 million PE and Sports Strategy; the target of five hours’ high-quality sport a week from age 5-16; the network of 450 school sports partnerships which forge sporting links between shools and local clubs; and ring fenced funding for the country’s 3,068 specialist schools – 400 of which are sports academies. Baroness Sue Campbell, chair of the Youth Sport Trust, said the funding cuts would “decimate” the progress made in the past ten years, describing the decision as “incomprehensible” less than two years from London 2012, a “direct contradiction” of the promises Lord Coe made when bidding for the Olympic Games five years ago, when he said Britain would ‘bring sport to life for children at home and around the world’. 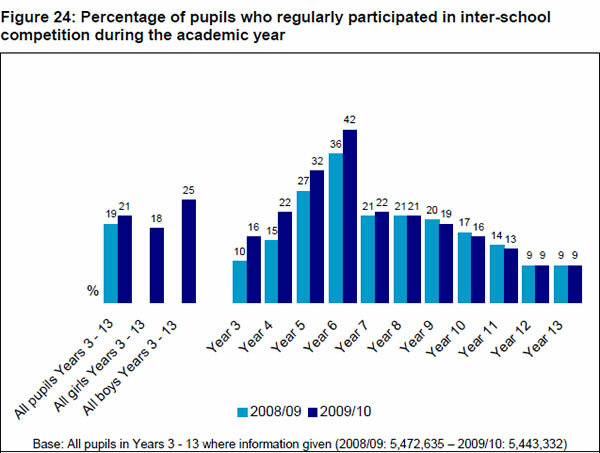 The survey also shows significant increases over recent years in participation in PE and school sport, curriculum time spent on PE, sports provision, club links, community sports and multi-skill clubs, gifted and talented pupils, sports volunteering and leadership and further education sport co-ordinators. 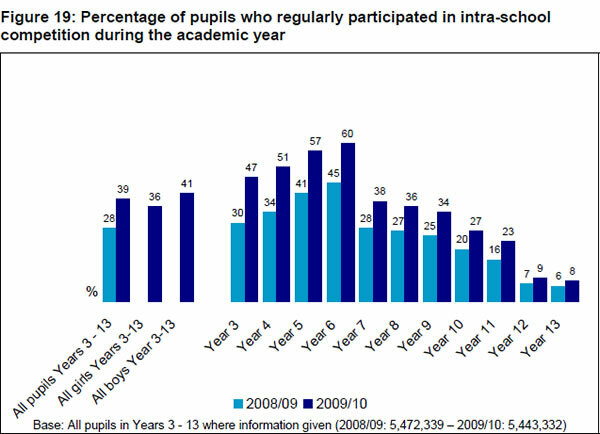 The success or more likely failure of the coalition’s new approach may never be known, as Mr Gove is also removing the need for schools to ‘report termly to the Youth Sport Trust on various performance indicators’, and, more significantly, ‘collect information about every pupil for an annual survey’ – the survey of all schools in England, from which the stats above have been gleaned; in other words, it may prove impossible to hold the government to account on this. What! No reports on yesterday’s demonstrations – what is this, a top down progressive blog? 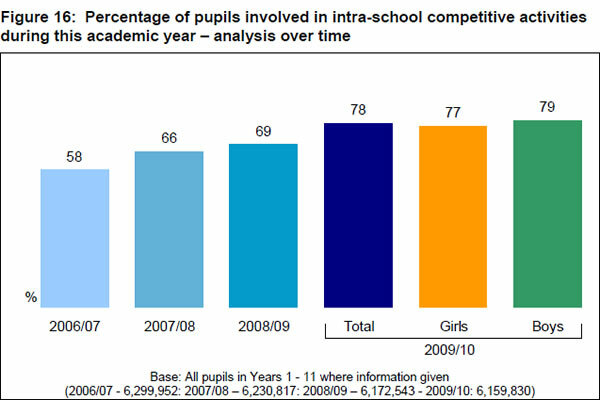 And Jeremy Hunt criticized the olimpic legacy over the summer. What’s this going to do for it?